Today’s technology world can be a scary place… MBC Solutions can help separate the facts from the myth’s regarding system security. Don’t be fooled by software claims and/or advertising powers; we can ascertain your specific needs and suggest security measures based on those needs. Whether you have a multi office corporate network or a home based business we can implement the proper layer(s) of security measures to make sure you are safe. 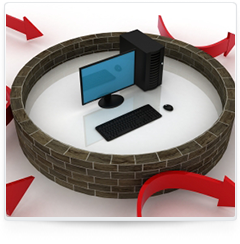 Secure Virtual Private Networks (VPN) also allow you to eliminate geographic and physical communication constraints. without compromising your important data. 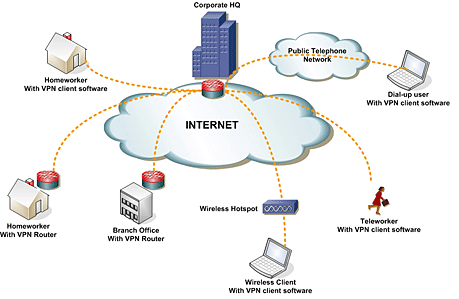 In conjunction with the proper security measures, MBC Solutions can implement a VPN system so that your system doesn’t know if you are in the next room or around the world. With corporate downsizing and the need for work from home positions, this technology may be a fit for your business.